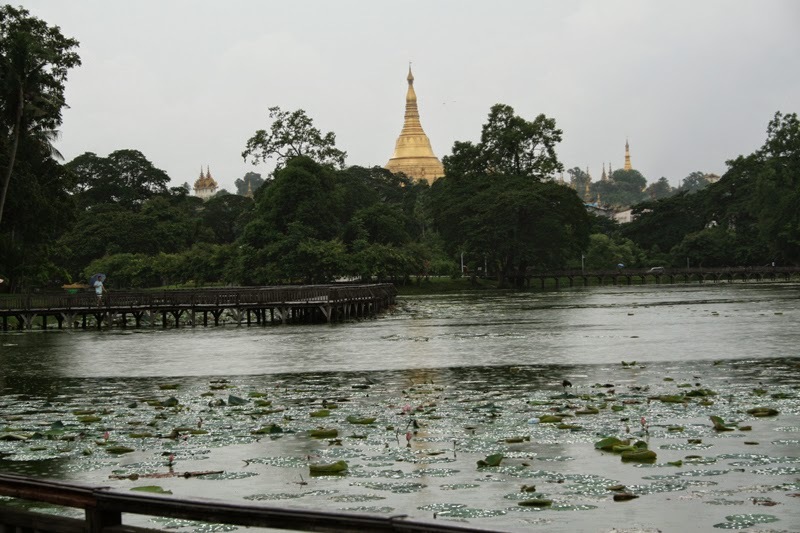 Shwedagon Paya gleams over the upmarket neighbourhoods of North Yangon. 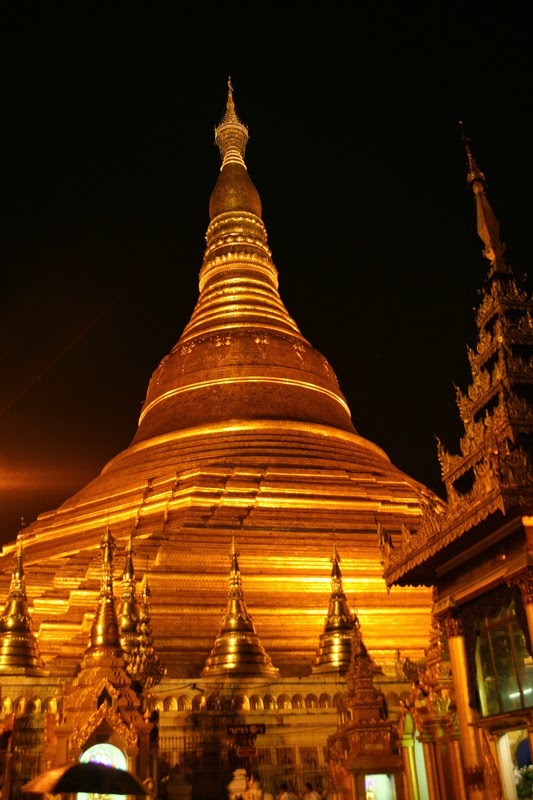 The gold-drenched 18th century stupa (replacing an earlier, damaged structure) is immensely popular with locals and tourists alike. Indeed, it's probably Yangon's only "must-see" site. I visited at 8pm, and the site was buzzing but not crowded. 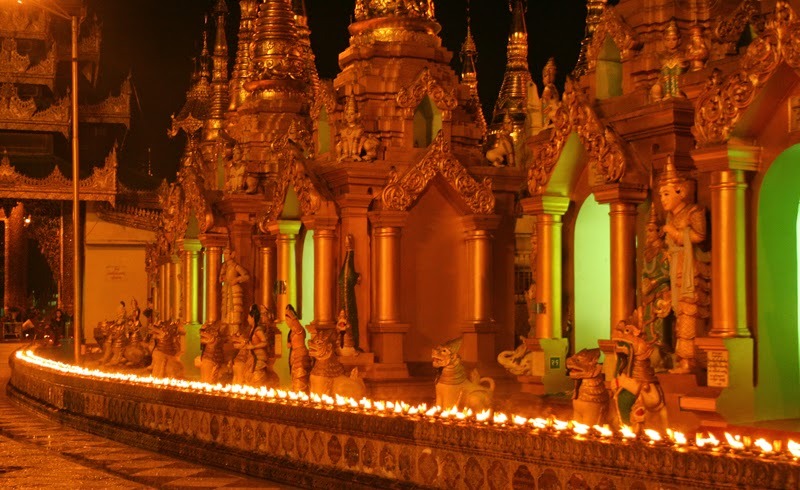 Locals lined up to light flames or pour water over the Buddha representing their birth day, or sat and drank tea or smoked in the pavilions, or posed for selfies in front of the diamond-topped stupa. If you approach it from the East, you can pass the lush surrounds of Kandawgyi Lake (home to plush hotels, embassies, and a long boardwalk over the lake (admission for foreigners 2000 kyat), popular with local teenagers and joggers.